Two SAS soldiers seriously injured in Syria were hit as Islamic State militants counterattacked in one of their last two strongholds. The two men were embedded with the Syrian Democratic Forces, Britain and America’s local allies in eastern Syria, as they attacked the Isis-held town of al-Shaafa. A local fighter, a Kurd from the YPG militia, which dominates the Syrian Democratic Forces, was killed when an Isis unit fired what local commanders said was a heat-seeking missile at the group on Saturday morning. One SAS soldier received a serious injury to his throat, while the other suffered lesser injuries. Both were taken to a field hospital at the nearby al-Omar oilfield and flown by helicopter to an unnamed US-run military base for hospital treatment. The Times understands that neither Briton is in a critical condition and both are expected to survive. The Ministry of Defence would not discuss their condition, saying that it did not comment on special forces operations. Neither man has been named. The two men are among several hundred members of British, American, French and other western special forces fighting alongside the Syrian Democratic Forces (SDF) in eastern Syria against the remnants of Isis. 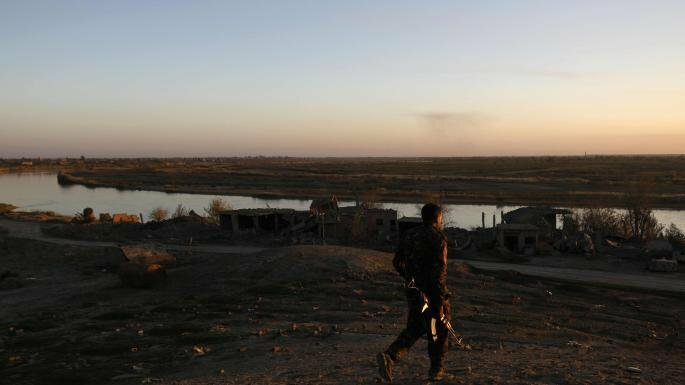 The militants are surrounded in two towns east of the River Euphrates in Deir Ezzor province, al-Shaafa and al-Susah. Al-Shaafa has been the scene of intense fighting for a week, and inroads have been made against Isis, with up to half the town seized, according to local journalists. Kamiran Sadoun, a Syrian Kurdish journalist who was in the area at the time, said that there had been five to seven SAS soldiers on patrol with SDF fighters when the clash happened. He said that he had spoken to wounded SDF soldiers at the al-Omar field hospital.“They told us they were attacked — they shot at the Isis fighters then they fired back with a thermal missile,” he told The Times. He said that besides the fighter who was killed, two more were injured. There have been heavy coalition air strikes, including one on Friday that was said to have killed 11 civilians, among them a Russian woman and her child. Thousands more civilians have fled the area. The death of the Kurdish fighter and the two Britons’ injuries will be used to highlight a clash between Britain and America over plans for the region. Last month President Trump announced that he would withdraw all 2,000 American troops operating in Syria. The move, contradicting a policy he announced last summer to keep American troops in Syria to ensure Isis remained defeated and to maintain a bulwark against Iranian influence, prompted fierce criticism across the West and was followed by James Mattis, US defence secretary, announcing his resignation. British politicians argued that Isis was “not yet defeated” and Gavin Williamson, the defence secretary, said that it was necessary to “keep a foot on the throat”. No timetable for the withdrawal has been given, although Mr Trump’s initial demand that it be within 30 days has been discounted. Luke Butterly writes that the government is quietly preparing for a return to a harder border in the North of Ireland. Following the anti-colonial struggle and subsequent civil war, Ireland was partitioned in the 1920s. This saw the creation of a new 500km international border drawn between the north-east and the rest of the island. The border was a point of contention for most of the following decades, and during the 30 year conflict known as the Troubles it was home to patrols, and checkpoints, and saw harassment, violence and death. To put it mildly, UK-EU negations since the referendum have not gone smoothly. As the March 2019 Brexit deadline rolls around, a ‘no deal’ scenario looks increasingly likely – and with it come worrying implications for the border. While the prevailing narrative is that the UK government is famously ill-prepared, actions and statements throughout this year show how a border is being prepared for. The border jobs adverts mentioned above were not the first such controversy. 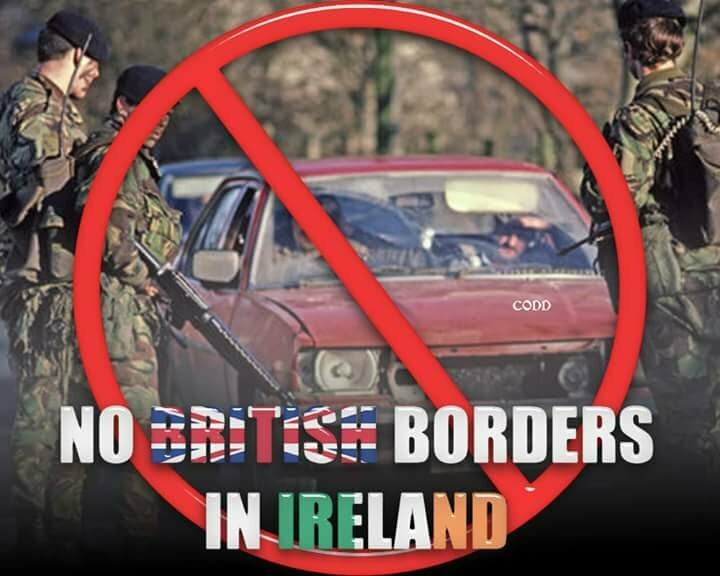 In late 2017 the Home Office launched a 300 new ‘mobile patrol’ border force officers for a range of locations including Belfast, but would not disclose how many would be stationed in the north. Most worrying is an anti-terror bill is currently passing through Westminster, due to be law by Christmas. The Counter Terrorism and Border Security Bill contains provisions that will grant powers to police and other officials to stop, search and detain anyone found within one mile of the North-South border. Further, police don’t need to show any reasonable suspicion. The act also explicitly names two train stations (the first stop on the cross border rail service) which are several miles in from the border yet fall under these powers. The fear that the powers will be used if granted are legitimate. At least as far as 2009 checks have been happening between those travel from the North to Britain – without any statutory basis. A similar existing piece of anti-terror legislation to the one proposed was used 12,479 times in a recent three year period (2014-2016). Despite this high number, there was not one case of someone being held on terror related grounds. Rather, some were then handed over to immigration officials. – thereby using emergency anti-terror laws to side-step the lack of legislated immigration checks. A leading human rights charity has warned of the current and future risk of racial profiling. Even away from the borders, there is precedent. The North have the most disproportionate use of stop and search by the police – police there use their stop and search powers three times more than those in England and Wales, but are also three times less likely to lead to any further action. In the referendum people voted to remain by 55.8%, with the issue of the border looming large (polling now puts support for ‘remain’ at 69%). When this 55.8% is broken down it is even more stark – of those constituencies that border the Irish republic, all voted remain – generally with margins of 60 – 70%. This map can almost be neatly overlapped with where Brexit-supporting DUP and anti-Brexit Sinn Féin hold their seats, and where areas have a higher Catholic than protestant population. The situation in North is changing and unstable. In the 2016 assembly elections, unionists lost their majority for the first time in the state’s 90 year history. In January 2017 the assembly collapsed, and this week marks 589 days of political stalemate, beating Belgium’s record as the longest time with a government. Post-peace agreement, support for a united Ireland has stayed a minority viewpoint – even in Catholic communities. Yet now many say Brexit and the threat of a border increases the desirability of reunification – and with it EU membership. The continued denial of access to abortion, marriage equality, and Irish language rights – all now available in the south – also plays a role. A recent poll found that 60% of voters in the North think that Brexit makes the break up of the UK more likely. While issues of the border rank high for people in the North, people in the North rank low for voters in Britain. Polling of Leave voters said they “would rather lose Northern Ireland than give up the benefits of Brexit”. Voters as a whole put preventing a hard border at the bottom of their priorities for the Brexit negotiations. The ‘no deal’ alternatives to border checks are no less troubling. CAJ warns that the North could become ‘one big border’, with stepped up immigration raids and a hyper-intensified version of the ‘hostile environment’. With many thanks to: Redpeper.org.uk for the original posting. The Past is Never Past: In the North of Ireland. With many thanks to: Mark Kernan and CounterPunch for the origional story. Author seachranaidhe1Posted on May 3, 2018 Categories COLLLUSION IS NOT AN ILLUSIONTags British Army, British government, Glennane Gang, Robin 'The Jackal' Jackson, RUC, The Past is Never Past: In the North of Ireland, UDR, UVFLeave a comment on The Past is Never Past: In the North of Ireland. IF ELECTED AS BRITISH PRIME MINISTER TOMMOROW – THERESA MAY WILL PULL OUT OF THE ‘EUROPEAN CONVENTION ON HUMAN RIGHTS – THIS EFFECTS EVERYONE !!! Theresa May: “Human rights laws could change for terror fight” What she really means is that she will abolish it completely and no longer abide by the ‘European Convention on Human rights’ this is bad for everyone. Including Ireland, Scotland and Wales! Theresa May says she will change human rights laws if they “get in the way” of tackling terror suspects. She said she wants to do more to restrict the freedom of those posing a threat and to deport foreign suspects. The UK could seek opt-outs from the European Convention on Human Rights, which it has abided by since 1953. Labour said the UK would not defeat terrorism “by ripping up basic rights”. The Lib Dems said it was a “cynical” move ahead of Thursday’s election. Rival parties have been criticising the Conservatives over police cuts following the terror attacks in London and Manchester. Speaking after Saturday’s London attack, Mrs May said “enough is enough” and that “things need to change” in the terror fight. 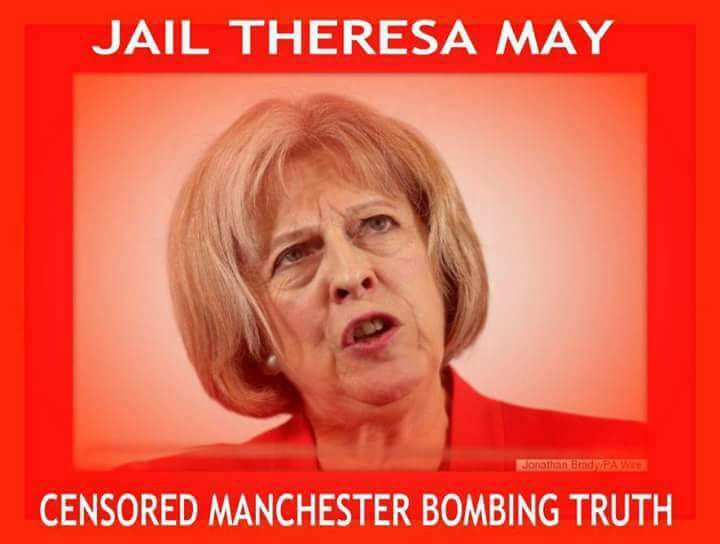 Addressing activists in Slough on Tuesday evening, she did not make any specific new policy proposals but said: “I mean longer prison sentences for those convicted of terrorist offences. “I mean making it easier for the authorities to deport foreign terrorist suspects back to their own countries. “And I mean doing more to restrict the freedom and movements of terrorist suspects when we have enough evidence to know they are a threat, but not enough evidence to prosecute them in full in court. Sources suggest if elected on Friday, Theresa May might consider ideas of curfews, controls on who people can visit and suspects’ access to communications. Labour has immediately cried foul, claiming another manifesto U-turn, at almost the last minute of the campaign. Tory sources deny that flatly, saying they would not pull out of the European Convention on Human Rights but instead, seek fresh derogations – essentially legal opt-outs. Theresa May’s team say she is not, at this late stage, making up last-minute policy, but that the terror risk has changed so fast since the start of the election, that she wanted to make clear that if re-elected she is prepared to toughen the law. 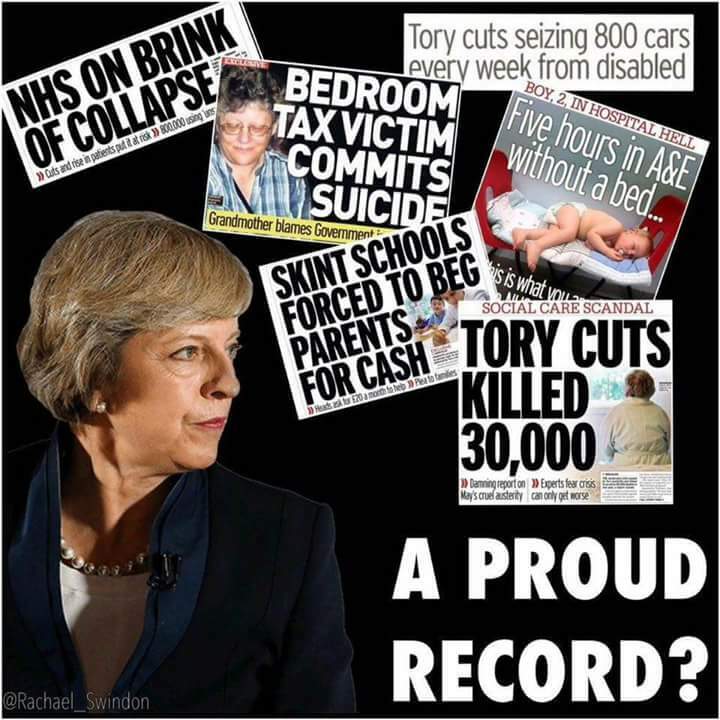 In an interview with The Sun, Mrs May said she would also consider extending the time suspects could be held without charge to 28 days, after it was reduced to 14 days in 2011 under the coalition. The Conservative manifesto committed the party to remaining in the European Convention on Human Rights – which is separate to the EU and which the UK helped to establish after World War Two – for the whole of the next Parliament. Conservative sources say they would not withdraw from the ECHR but would seek temporary opt-outs called “derogations” from certain aspects. This could possibly include Article 5 – which guarantees individuals’ rights to liberty and security and the right to a trial “within a reasonable time”, while protecting against unlawful arrest and detention. During last year’s Conservative leadership campaign, Mrs May said she personally backed leaving the ECHR, saying it made it harder to deport terror suspects and criminals. But she later said she did not believe there was enough support in Parliament for the move. 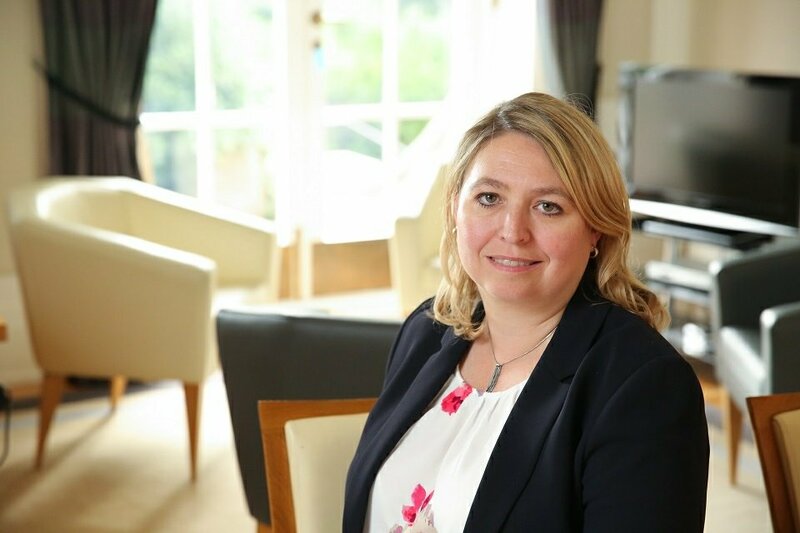 The Conservatives have said they will reconsider the UK’s human rights legal framework after leaving the EU but that the 1998 Human Rights Act will remain in place until that time. The party has long proposed replacing it will a British Bill of Rights. Sir Keir Starmer, the former director of public prosecutions who is now Labour’s shadow Brexit secretary, told Today the Human Rights Act “had not got “in the way of what we were doing” during his many years prosecuting serious crime. He warned against “throwing away the very values that are at the heart of our democracy and everything we believe in”. Labour’s leader, Jeremy Corbyn, said laws were already in place to deal with people, including foreign nationals, who presented a threat and that the government must always act “within the law”. What is the European Convention of Human Rights? Former Lib Dem leader Nick Clegg said the PM was making a “very cynical” attempt to appeal to UKIP voters, telling the BBC “attacking the principles of human rights legislation is not the right way to keep us safe”. Speaking on Today, he denounced the “explosive claim, free from any evidence, that the problem lies with human rights legislation”, saying the prime minister had a “track record” of making “ludicrous” claims about the impact of the laws. He said ministers’ focus should be on the fact that one of the perpetrators of the London Bridge attacks had been on a Italian terror watchlist and whether this information had been properly shared and acted upon. UKIP has already backed extending pre-charge detention to 28 days. Their immigration spokesman Jon Bickley said the UK had to “stop being so tolerant of other people’s intolerance”. Author seachranaidhe1Posted on June 7, 2017 Categories BUTCHER'S APRON, InjusticeTags British Army, British government, British Secret Service, BUTCHER'S APRON, Council of Europe's Commissioner for Human Rights, Craigavon Two, European Convention on Human Rights, human rights abuses, Internment without Trail, Ireland, MARTIN COREY, MI5, MI6, Northern Ireland, The Troubles, Theresa May, Tony Taylor, UK GovernmentLeave a comment on IF ELECTED AS BRITISH PRIME MINISTER TOMMOROW – THERESA MAY WILL PULL OUT OF THE ‘EUROPEAN CONVENTION ON HUMAN RIGHTS – THIS EFFECTS EVERYONE !!! Collusion is not an illusion. This letter was written in The Irish News today Monday 24th April – How come our very well paid (by us) politations did not open their eyes to This? British Army veterans triumphantly celebrated the release of one of their former colleagues for a cold-hearted murder. CLAIMS of a legal ‘witch hut’ against former British soldiers who served during the Trouble’s have been made during a rally of British army veterans in Belfast (April 15th). The former soldiers claim there is a prosecutorial bias against former British soldiers over murders during the Trouble’s. Secretary of State James Brokenshire also claims investigations into killings during the Trouble’s are disproportionately focusing on members of the police and army. This claim is without a shred of evidence or credibility. Available evidence suggests that the British government shelving of the in-depth investigations and report by John Stalker and Colin Sampson on British shoot-to-kill policy and the Stevens Report on British security forces collusion with loyalists which resulted in countless killings, in fact shielded British soldiers and police from prosecution. Further evidence of protecting British security forces from prosecution is the continuing withholding of files pertaining to the Dublin and Monaghan bombings. Does Mr Brokenshire need reminding that British soldiers and police were and are acting on behalf of the British State and are a constitutional arm of ‘the UK government and recognised so internationally in law’? 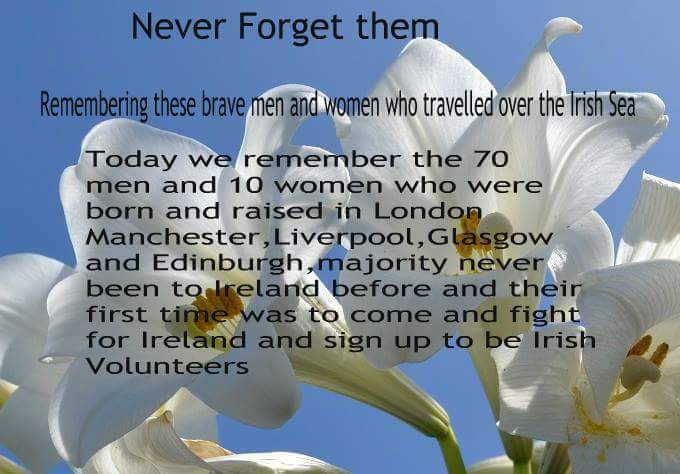 With many thanks to: Tom Cooper Chairperson, Irish National Congress, Dublin 7. THE BRAVE Men & Women Who Give Their Lives For Irish Freedom.